Does Sawdust Inn sell its projects? As a hobbyist woodworker, I enjoy building simply for the pleasure of the craft. On very rare occasions, I have created a project for the intended purpose of selling it. As explained earlier, the cost of a quality, hand-crafted project is usually more than most people expect. This is especially true for those who price furniture at a discount furniture or big box store. However, a number of folks have asked if I would sell them. The answer is yes. When you buy from the Sawdust Inn, you can be assured that it has been made by a single person who takes pride in his work. Each piece is hand-crafted with pride and assembled using joinery techniques that will last for generations. 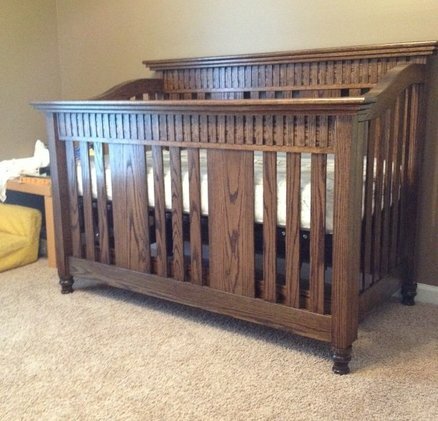 In short, the Sawdust Inn creates quality furniture, sure to become a family heirloom. If you see a project you are interested in, feel free to contact me for more information. Be the first to comment on "Does Sawdust Inn sell its projects?"